Yesterday we featured an ivory, gold and red wedding cake designed for Mona and Luis. 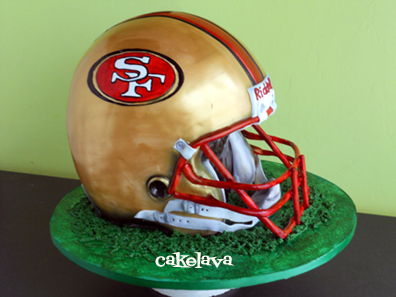 It was an elegant, vintage inspired romantic cake, whose colors perfectly matched the surprise Groom's cake, a San Francisco 49'ers sculpted Football helmet. I remember excitedly telling the bride that her fiance couldn't have selected a better team to work with the colors of the wedding. It was all a coincidence. She told me she didn't even think about the colors matching. Amazing! Some things are just meant to be, and in this case, these two cakes, much like the couple, were perfectly paired! 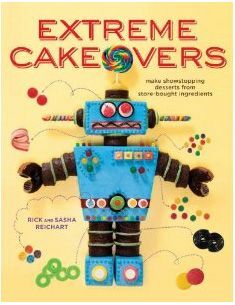 Rick sculpted the helmet out of cake and made the face guard, which is one of the most difficult parts to make. The cake flavor was our delicious guava, and offered a lighter fruity alternative to the richer chocolate flavors in their wedding cake. Congratulations to Mona and Luis! 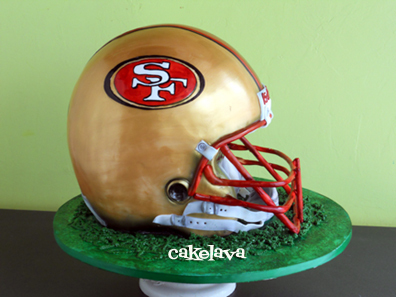 My Fiancee would love this is a BIG 49'ers Fan! 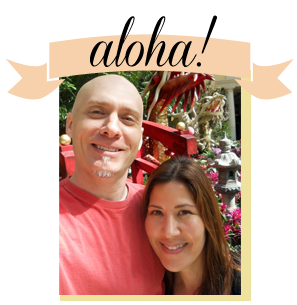 Thank you Rick and Sasha for being part of our special day! Thank you, Renee! Mona, it was a pleasure working with you!! 49ers fan over here...great job on this cake.